he Push-Button Paging Kit is the ideal product if you need to contact someone onsite instantly. With the touch of a button, a silent page is delivered to anyone in your building wearing an LRS alphanumeric pager. Used for Instant notification for assistance, back-up, or customer help, this system is great for use in restaurants, resorts, bowling centers, warehouses, grocery stores, pharmacies, car washes, hospitals, country clubs, stadiums/arenas, banks retailers, nursing homes, marinas, water parks, manufacturing, department stores, medical offices, home improvement, schools, amusement parks, convention centers, auto dealerships, spas, and cruise ships. Exclusions: Not applicable outside of the USA due to frequency channel regulations. 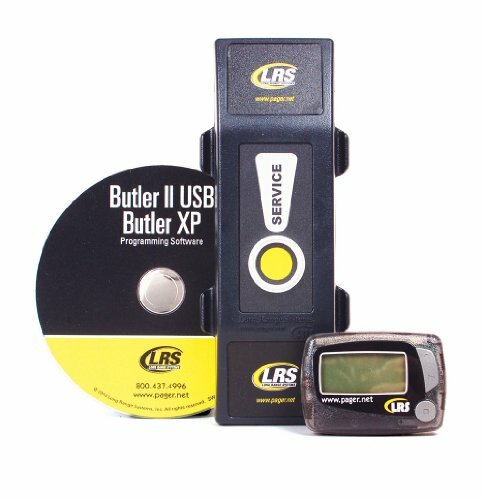 International sales requests are handled directly by LRS at 1-800-437-4996 or www.pager.net. Restrictions: All online orders are restricted for purchase and use within the USA only. LRS is not responsible for any product purchased via the web for use outside of the USA, warranty is voided for any product used outside of the USA. If you have any questions about this product by Lrs Long Range Systems, contact us by completing and submitting the form below. If you are looking for a specif part number, please include it with your message.